Burlap sacks are a very handy material in crafts projects. They are fairly cheap, and yet quite durable which makes them easy to handle and use for all kinds of purposes. Sometimes, you might be able to find burlap sacks in the stores that sell craft or gardening supplies, or in hardware stores. However, the most convenient place to buy burlap sacks is to order them online. While the stores often have limited selection of sacks, you can buy a greater variety of burlap sacks online. A massive expansion of the online shopping websites has enables us to buy goods from anywhere in the world from the convenience of our own home. The payment is processed online and once you buy burlap sacks you want, those will be shipped to you. Large burlap sacks are frequently called potato sacks because they’re commonly used for storing potatoes or other agricultural products. The size of these sacks is 21×35 inch, and they come in a pack of 12. This is perfect for organizing sack races for kids for a birthday party, a family reunion, or everyday activities for kids. These burlap sacks are even larger than the previous ones. They are 23 x 40 inches, which is perfect in case the adults want to join the sack race. The sacks are made from natural jute burlap and are available in packs with one, two, four or twelve sacks. You’ll notice that most burlap sacks do have a distinct scent that dissipates over time. Therefore, it’s best to leave the sacks out in the open for the scent to air out. Additionally, you could also hand wash them and then leave them to dry out in the sun. Burlap bags are frequently used in the industry for transferring food and similar products. In these cases, burlap bags usually have some sort of a print on them, usually about the products or company making the product that is being transported this way. 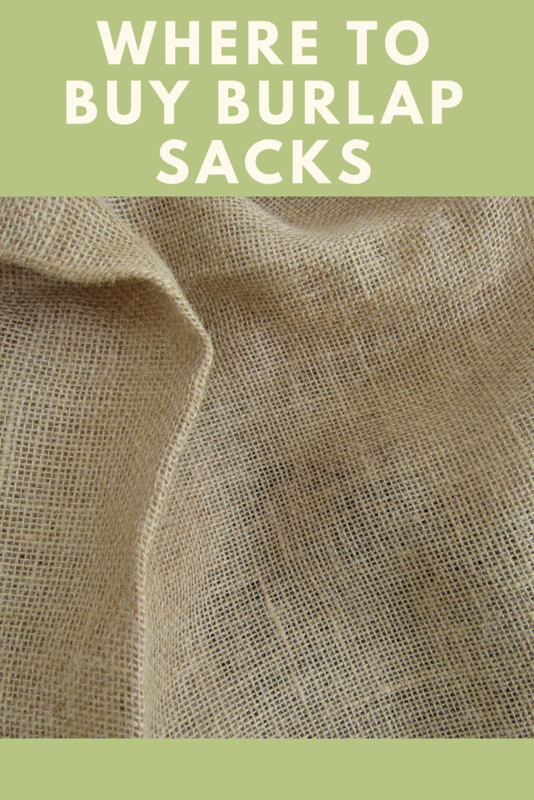 If you need burlap sacks for gardening or craft projects, you could try used burlap coffee bags. As mentioned, they’ll have some sort of print on them, that may vary. Since the bags are used, they may contain some dirt or stains from storage of coffee beans or other products. Hence, they’re espeically suitable for gardening. The size is approximately 28 x 36 inches. The drawstring is very suitable for storing content in the burlap sack and keeping it secure. These bags are medium size, available in the size of 18 x 24 inches. They come in a pack of two burlap sacks. Available in a pack of 20 sacks, these are great bags to be used as gift bags, or for storing snacks, coins, etc. If you’re organizing a rustic-themed party or an outdoor wedding, these gift bags would be an excellent choice. Since they have a drawstring design, this makes the burlap sacks easy to fasten which prevents losing the objects that are kept inside. In addition, the drawstring is also handy for carrying the bags. The size of these bags is 4.5 x 3.5 inches. If a simple design of burlap cloth isn’t just right for you, there’s an alternative. These burlap sacks with drawstring have a flower pattern on the cloth. The patterns aren’t too big or bright but they’re just enough to bring that extra flair. So, they’re a great choice if you’re planning to use these bags for parties. They’re lightweight, convenient to carry, durable and stylish. Finally, they’re practical. The approximate size is 3.94 x 5.51 inches and the bags come in a pack of 10. As you can see, when you have any doubts where to buy burlap sacks, the easiest solution is also the best one as a great variety of choices is available to you. Therefore, use the internet to check out the offer of burlap sacks. 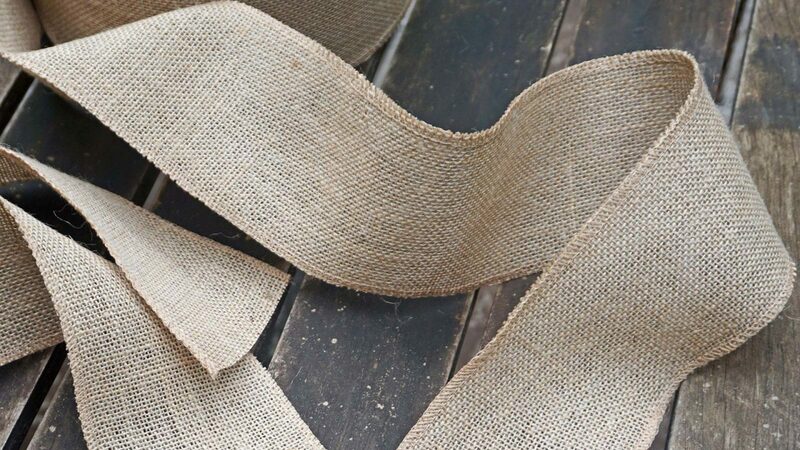 You probably wouldn’t be able to find such a good selection of burlap sacks in any store, but luckily, sites like Amazon gather manufacturers and sellers from all over the world, making the products such as burlap sacks available globally. Most of all, these are all the products you can order yourself.